There are certain cities I have avoided writing about; they are too intimate that it’s hard to conjure a simple observation – where to begin? Still, when I think of high-quality urban living, the cities I hold closest to my heart are among the first that come to mind. One of those is Seattle, my “home city” – as much as any city can be when one has 2 passports, has lived in 25 cities, on 4 continents in 8 countries and 5 states. Obviously, I’m a confused little soul. 😉 Still, if any city is home, it is Seattle. And the longer I am away, the stronger a sense of home I have; slowly it pulls me back. 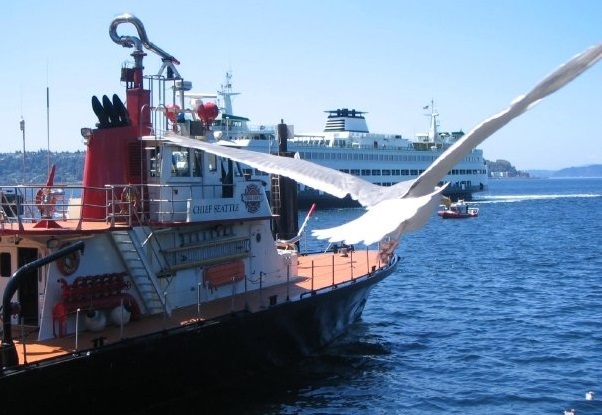 Seattle, Washington (population 621,000, founded 1851) has a pioneer’s soul for adventure, an entrepreneur’s inkling for risk and innovation, combined with a cosmopolitan’s love of art, architecture and cuisine. 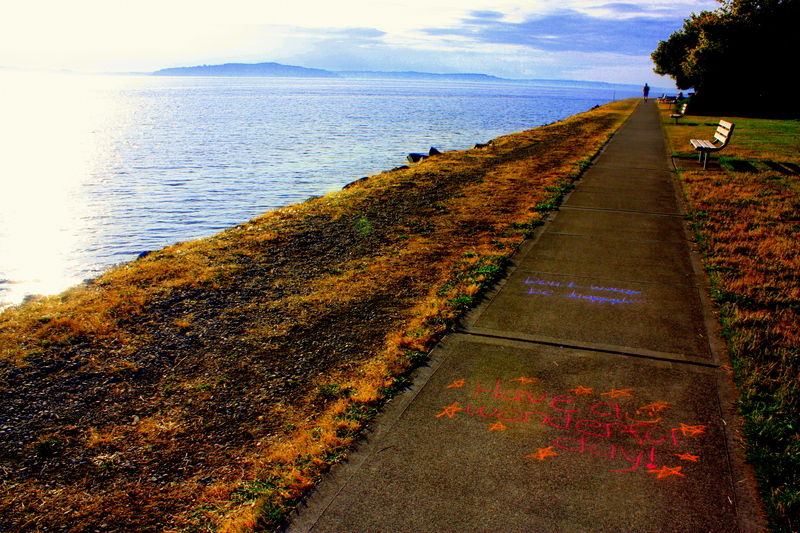 Perhaps influenced by the surrounding nature, or the weather, Seattle also has a green heart. In 2005, former Seattle mayor Greg Nickles symbolically ‘signed’ the Kyoto Protocol, making a public statement that if the US will not act on climate change, cities can. To date, over 1000 US mayors have now pledged to act on climate, joining the US Mayors Climate Protection Agreement. 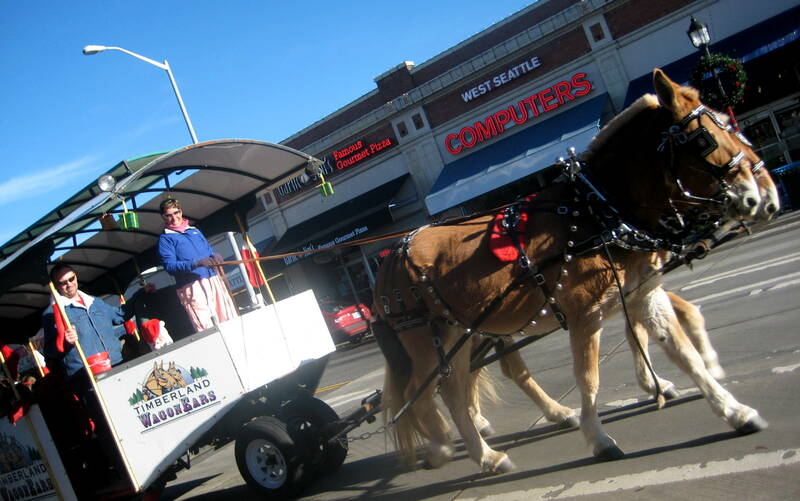 By US standards, Seattle has good public transport. It could be better; but it works quite well. My parents (who I would not classify as environmental activists) take the bus every day: it’s faster, affordable and you don’t have to look for parking. The city has a great waste management system, including one of the largest composting facilities in the world (a professor in Budapest informed my fellow students). Food waste and yard waste are collected for compost; and there are numerous recycling categories (collected together, to make recycling easy). The remaining trash is less than 40% and dropping. In fact, it is illegal not to recycle. (They won’t pick up your trash if you have recyclables in it). Of course this is easier to monitor in free-standing houses than city flats, but acceptance is quite high. The city has also banned Styrofoam take-away food containers as well as plastic bags. 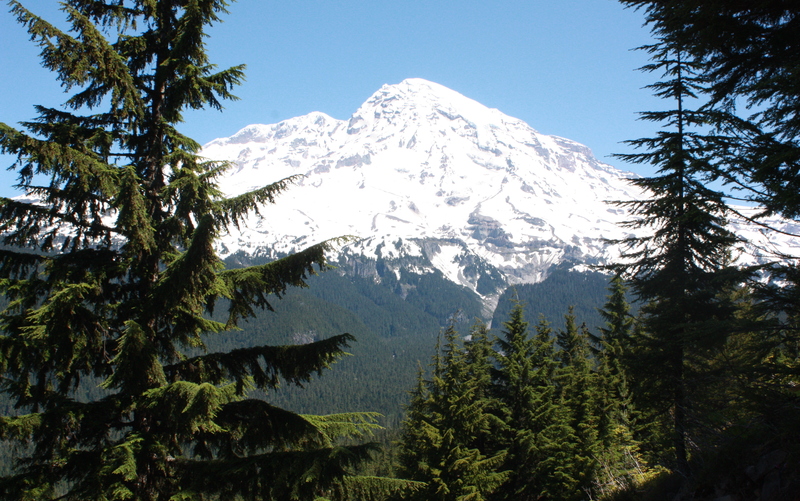 Seattle is on board with many sustainability concerns: nature protection in city parks, energy transitions, urban agriculture and food policy, climate change adaptation strategies, green technologies, etc. (Many of these I read about in academic articles for my PhD, of course with a bit of pride.) It also ranks as the second most literate city in the United States, following Washington DC. However, having been away from the city professionally for some 10 years; I don’t feel comfortable to write on these topics. Still, I do spend a lot of my holidays in the city, and there are a few topics I always admire: its farmers’ markets; its ferries & public transport; its nature – both in the city and close by; and its ‘neighbourhood feel’. 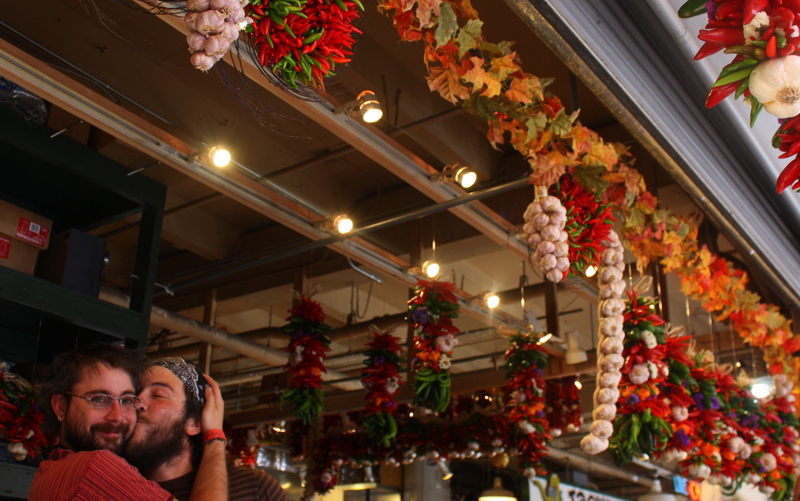 Seattle’s crown jewel, Pike Place Market has been running since August 1907. 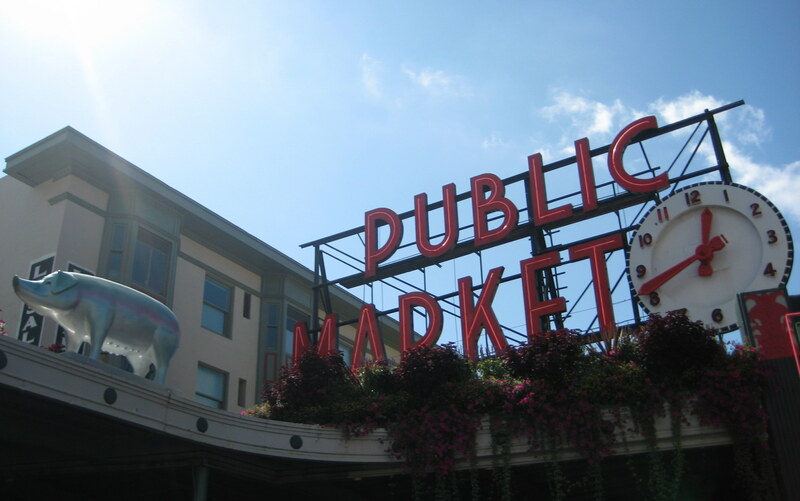 It is one of the longest consecutively running markets in the US, credited with retaining and rejuvenating farmers’ markets throughout the city and the region. The Market has a “Meet the Producer” mandate, ensuring it remains a space to support local farmers to sell their produce, as well as artisans, craftsmen and small shops – all from the area. No commercial chains are allowed within several hundred meters of the market, save for orignal Starbucks; it remains because this was the first one, open since 1971. 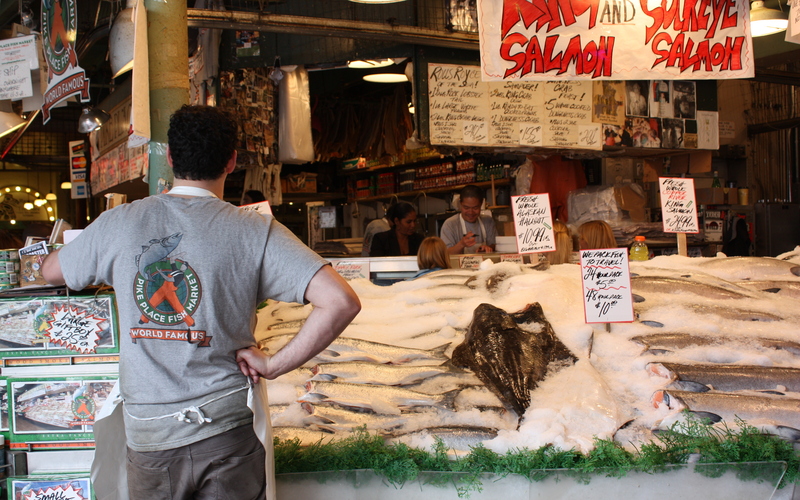 The Market is one of Seattle’s most popular tourist destinations and loved by locals. 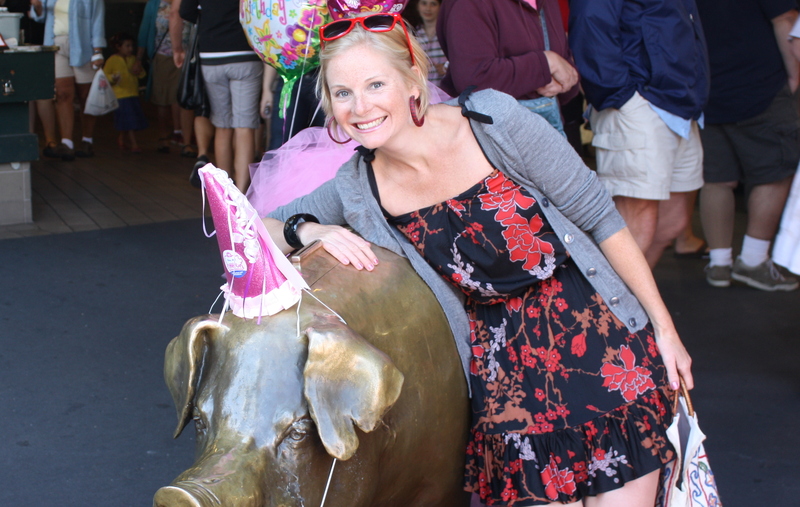 Meet Rachel the Pike Place pig & defacto symbol of Seattle. In 2007, the Market celebrated 100 years and colourful versions of Rachel appeared across the city. In 2011, Rachel celebrated her 25th birthday. Seattle has a great selection of street performers & musicians; some of the very best perform at Pikes Place. 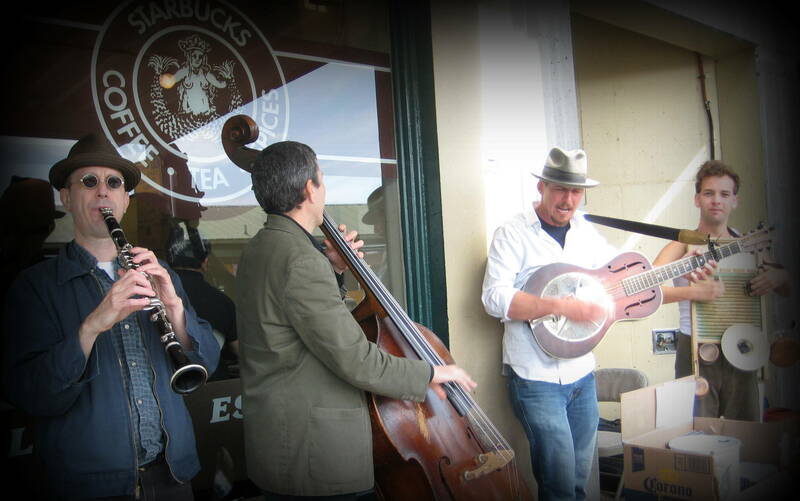 Here, a bluegrass band entertains just outside another landmark, the original Starbucks. 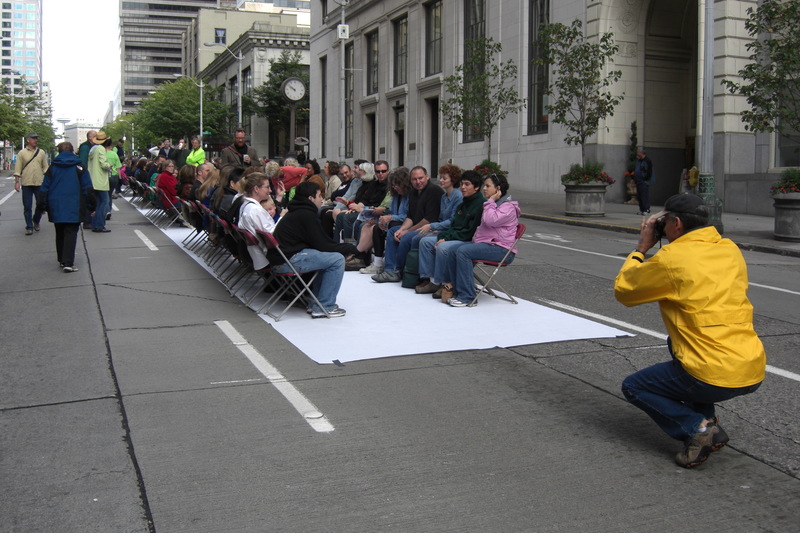 Summer 2007: several hundred Seattlites arrived at 6am on a Sunday to participate in a city-sponsored photo shoot to demonstrate how much space different modes of public transport (e.g. 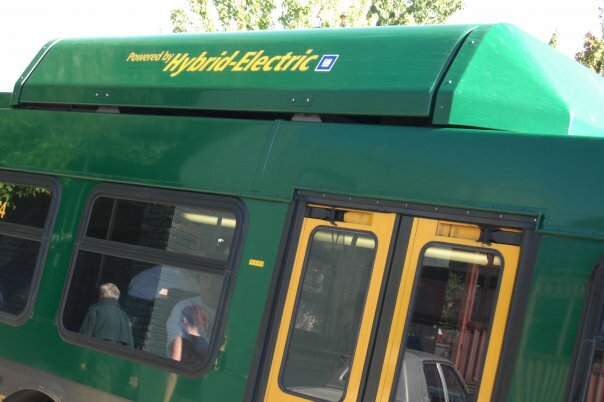 bikes, cars, light rail & buses) require. This is a mock of lightrail. 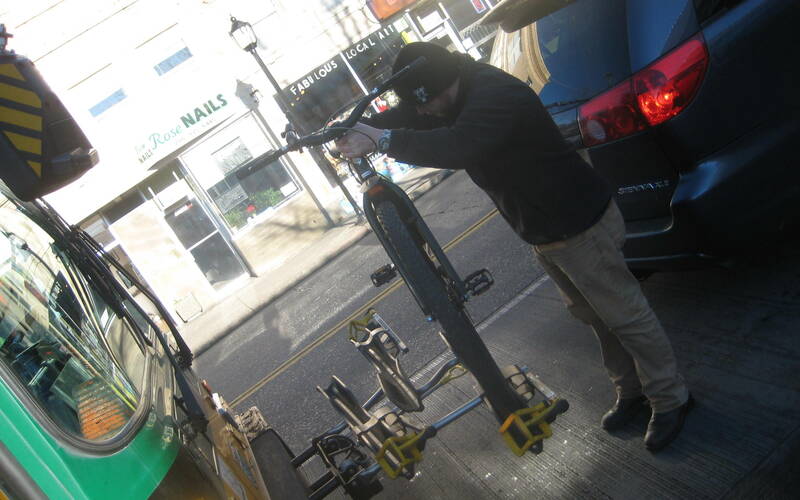 Coordinated by I-Sustain and others, this contributed to the city’s commuter toolkit. Seattle has a great park system. 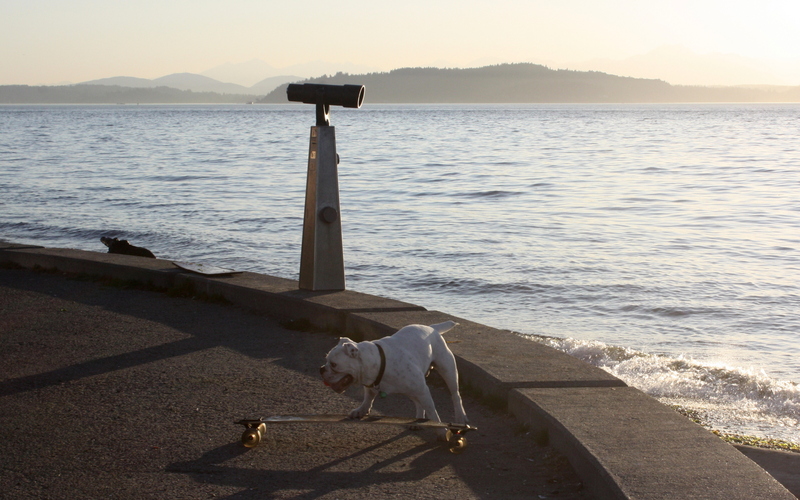 Some parks are small & urban, others are large and expansive; all are popular. 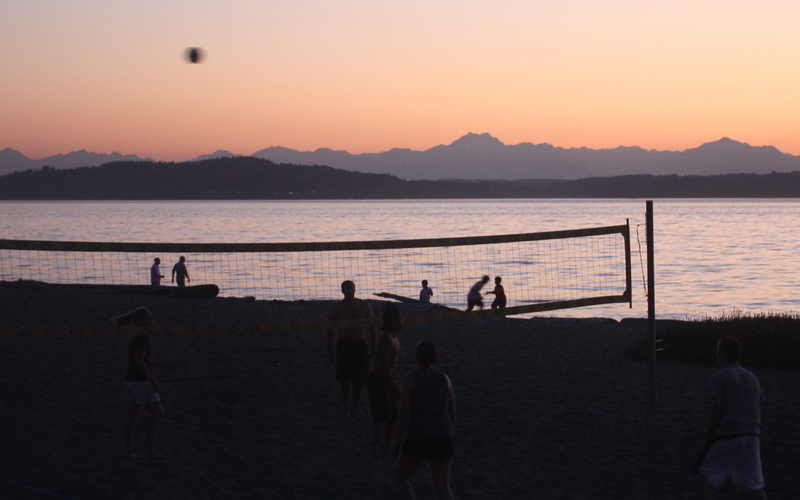 Some of my favourite are Alki Beach in West Seattle, which looks across Elliot Bay to the Seattle skyline in one direction, and in the other, the Olympic Mountains. 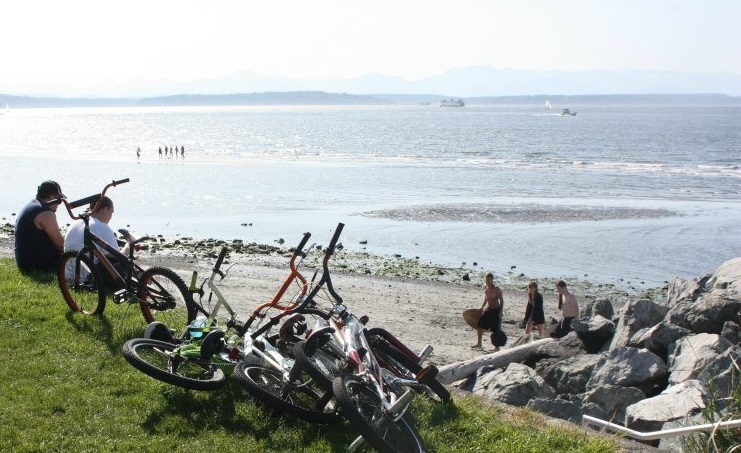 On a sunny summer day, Alki looks like Southern California – except we have mountain views. 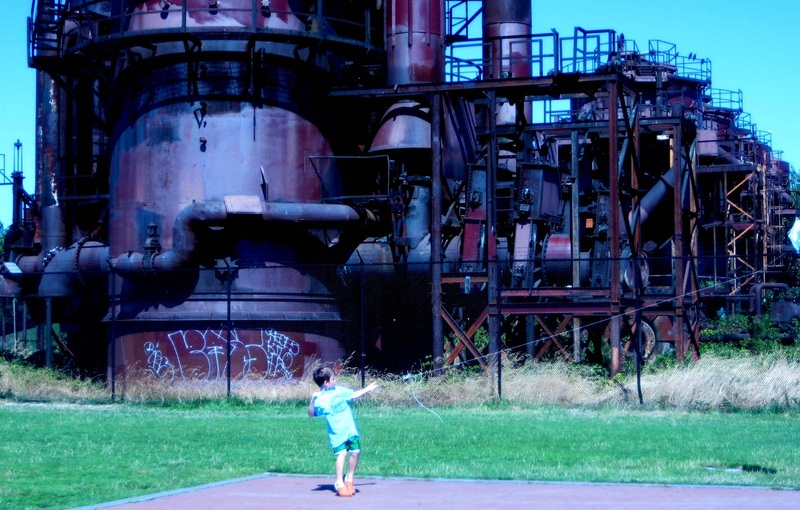 Gasworks Park, bordering Freemont and Wallingford is a quirky park sitting on a historic landmark (see below). 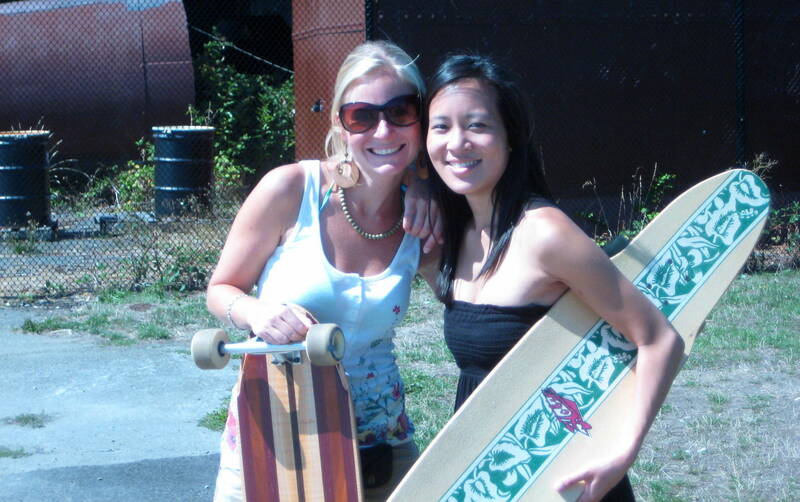 Another favourite: the downtown waterfront: on a sunny day its boardwalk and green spaces are lively with funky shops, great restaurants with local seafood, plenty of places to enjoy a local microbrew and stunning views. 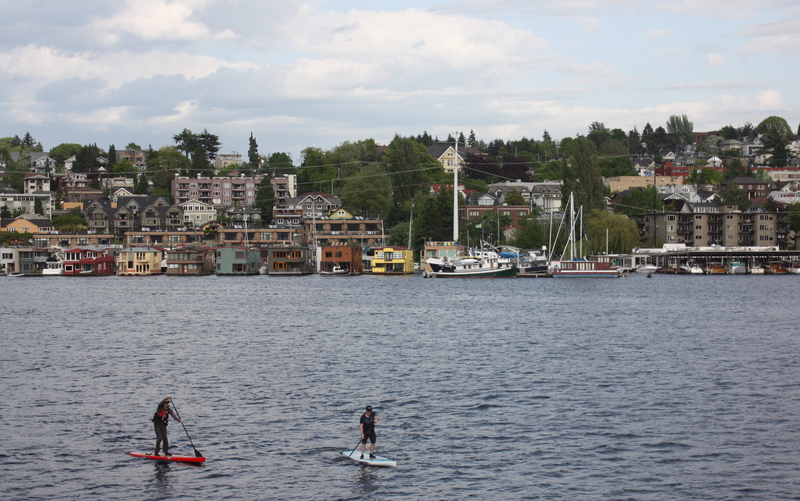 A bike ride (or longboard) from the University of Washington, Gas Works sits on Lake Union, offering amazing views, and just off the Burke Gilman Trail, one of the city’s most popular recreational (and commuter) bike routes. The mountains are also close: 1.5 hours to Mt. Rainer or the Olympics. 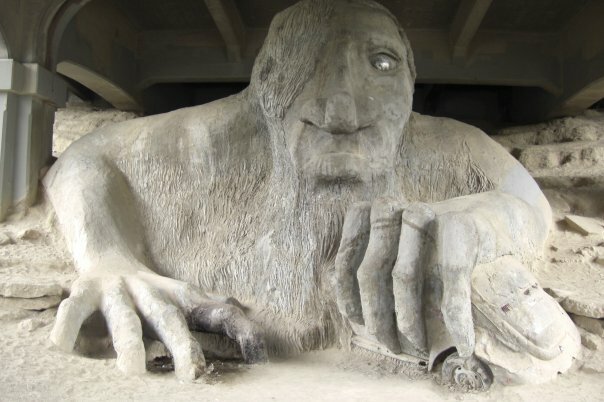 45 minutes to the Cascades and Snoqualmie Pass (of course this does require a car). 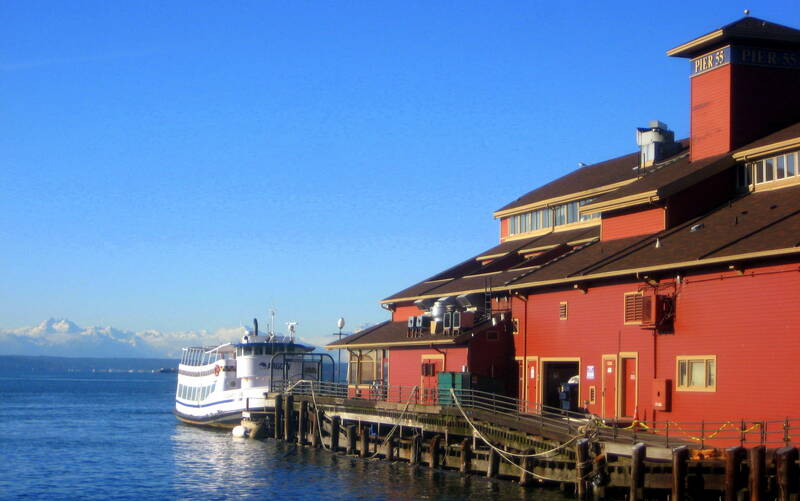 I have spent less than 10 years (on & off) living in Seattle, but still it is the first place I would classify as “home.” I love the city’s sophistication, its ruggedness and its cafe conversations about how to save the world or discuss the latest trends. Its full of damp pessimism and frustration with the world at times (can things really change!?) but mainly innovative optimism and creativity (both of these often connected to the weather). The nature and surrounding views one can appreciate in the city are astounding, but also its architecture and public spaces. 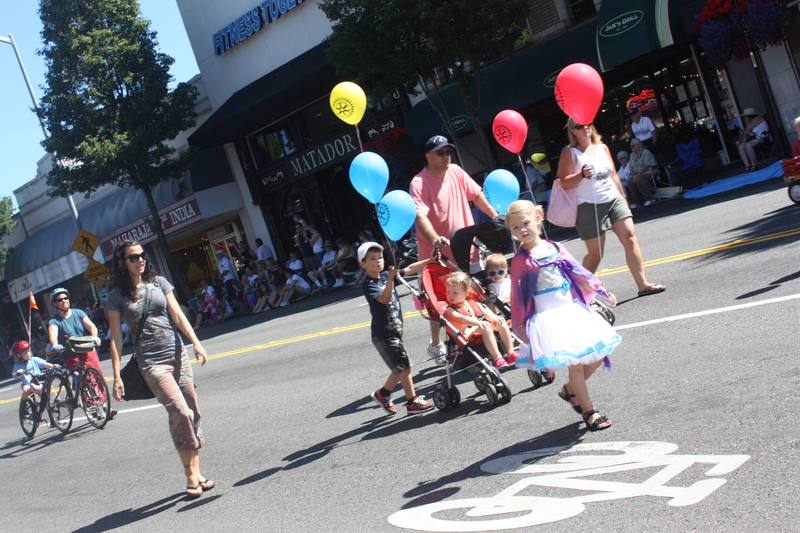 Its people are friendly, conversational and diverse. Love your analysis about cities so far! 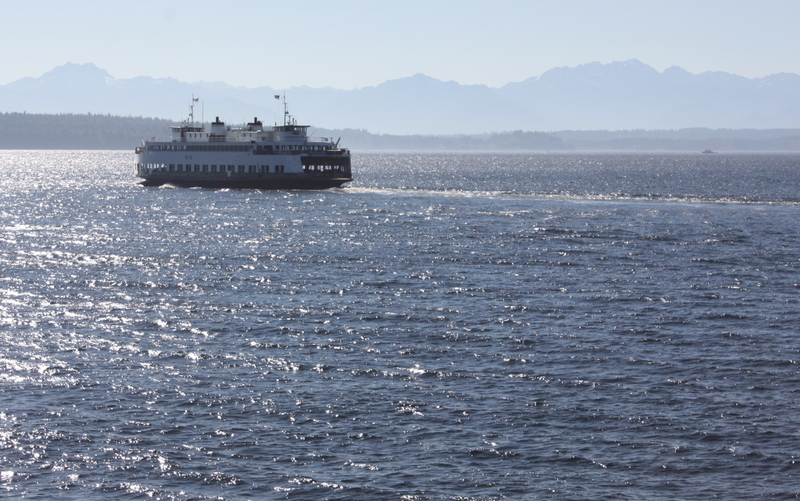 We’ve enjoyed Seattle whenever we go there from Vancouver –and I’ve gotten there by bus, train and bike. I assume you’ve been to Vancouver BC. Have you finished your studies yet? Still two years to go for the studies & enjoying Amsterdam in the process. 🙂 But yes, I love Vancouver! One of my fav cities! We wish we were in Amsterdam instead thought! Hi, thanks! 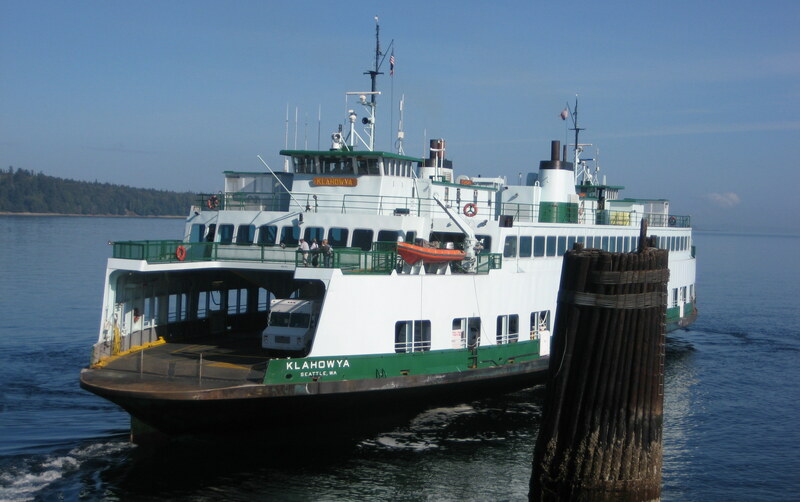 Actually… I’m in the process of transiting back to Seattle, so will surely check it out!